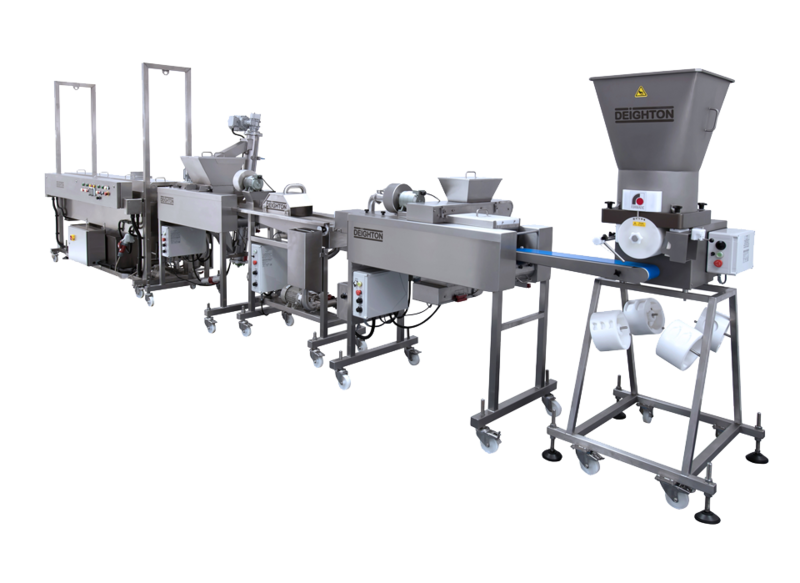 The EconoDust has been developed to make the automated process of pre dusting products accessible to small and large volume producers. 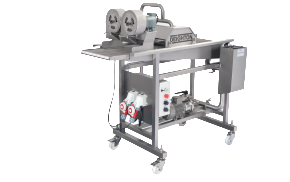 Designed to apply a thin coating of dust or flour to enhance batter adhesion, the EconoDust enables the operator to enjoy maximum versatility with their product range at an affordable cost whilst maintaining its reliability and ease of operation & cleaning. 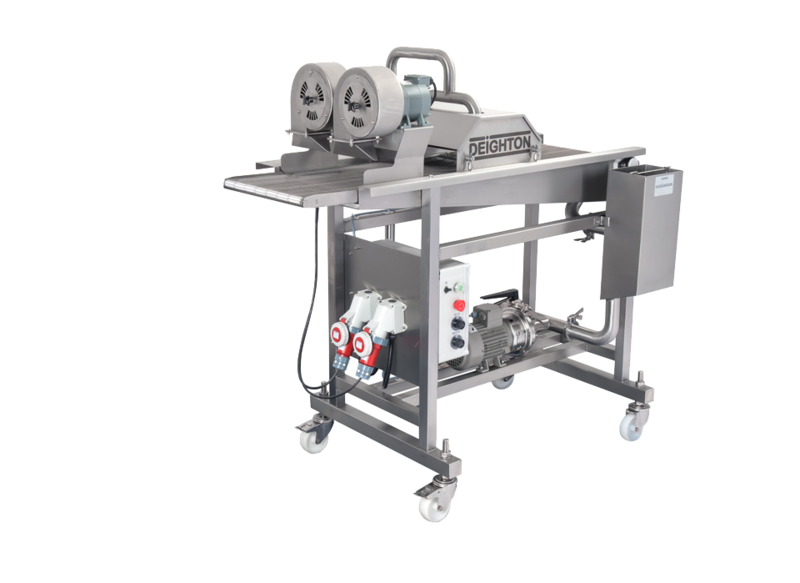 Operating from a three phase supply, the EconoDust can be installed as a stand alone unit or as a part of the forming and processing line. 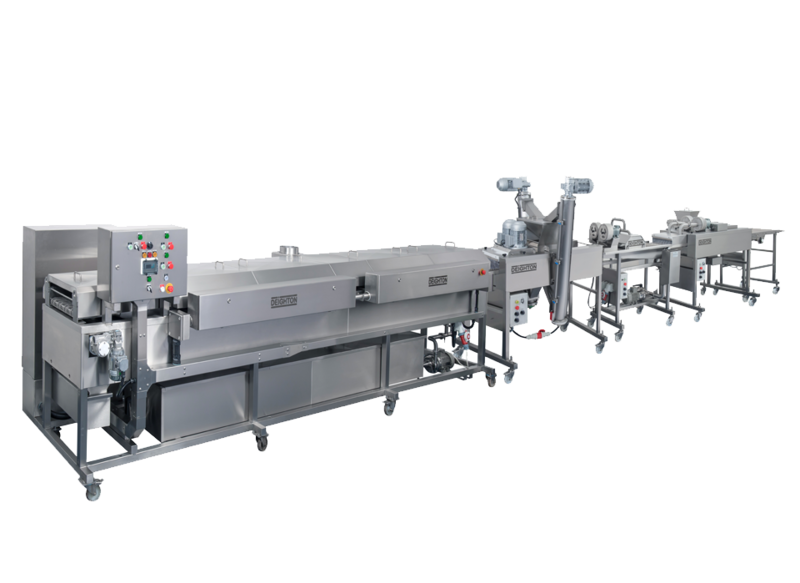 A single control panel operates the variable speed conveyor that transfers the product through the unit. 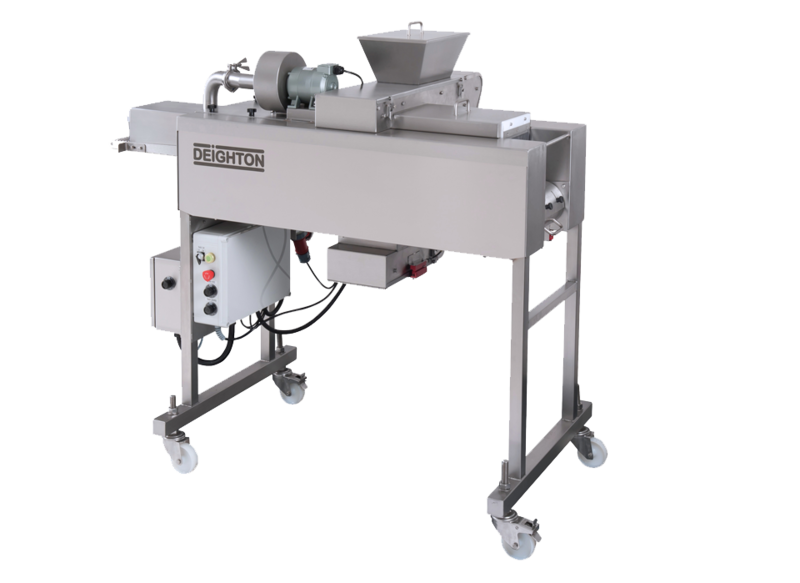 The conveyor is submerged in a bed of dust ensuring that, as the product passes along the conveyor, a full & even coating is applied to the underside of the product. 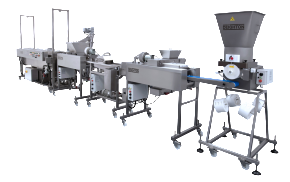 The conveyor moves the product through the dust “curtain” showering a consistently accurate coating to the remaining areas by means of an adjustable speed trans-flow conveyor. 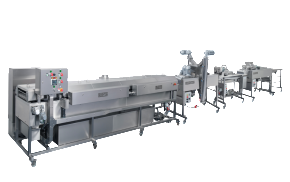 The fully dusted produce proceeds to pass underneath a variable pressure air knife which removes any excess dust before presenting it for the next processing or packaging stage. The excess dust is recycled back into the tank and trans-flow conveyor, allowing the operator to minimize product wastage.